For painting magazine 'Periodiek', Erik Winkler is writing six articles under the name 'Schitterend'. The second article describes the topic 'Glass', as carrier for glass signs and art. 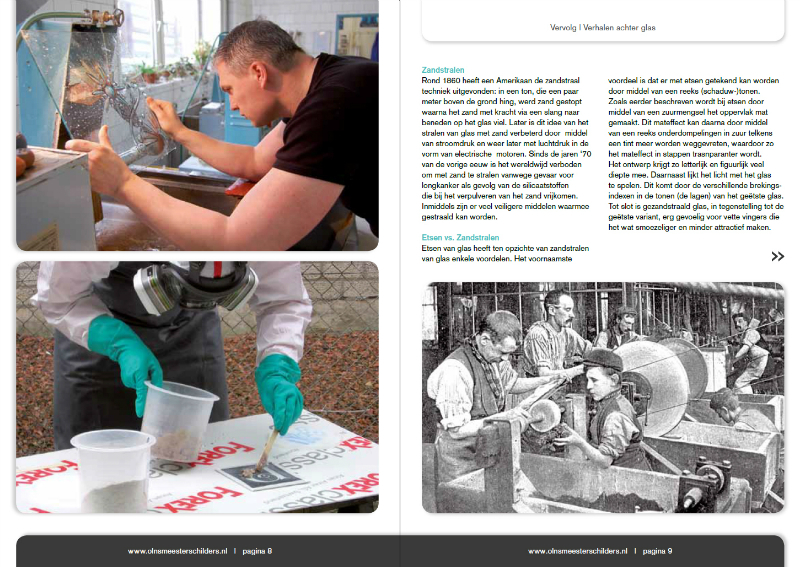 For national painting magazine 'Periodiek' Schitterend writes, together with SchrijfZinnig, a series of six articles on the history of decorative glass panels and which techniques were used in the old days and are still used nowadays. The articles will be published quarterly from March 2012 onwards in the 'Periodiek', the newsmagazine of the 'Association of former students of the National School of Painting Nimeto'. 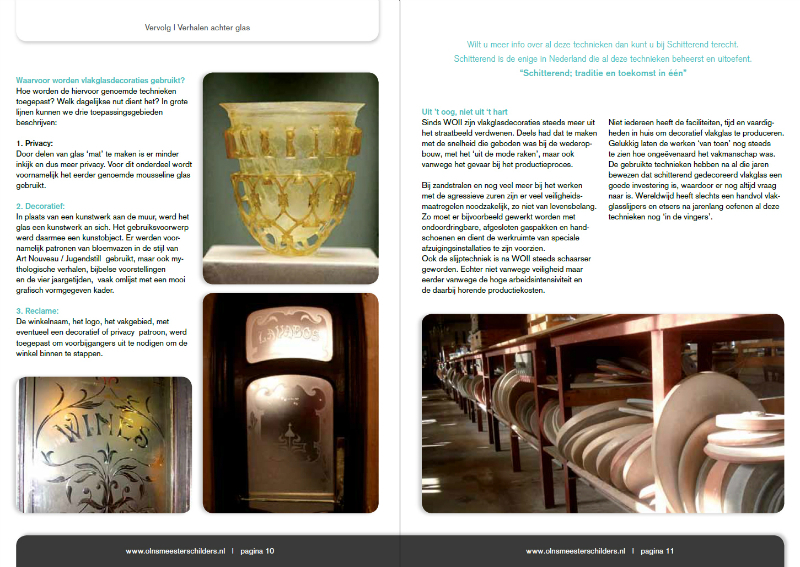 In the previous edition of Periodiek I introduced the history of glass as a medium for decoration painters. I told the reader that I would give step would give by step more information about working glass and the various forms of decoration techniques in the articles to come. In this Periodiek we start with the basics: Glass. 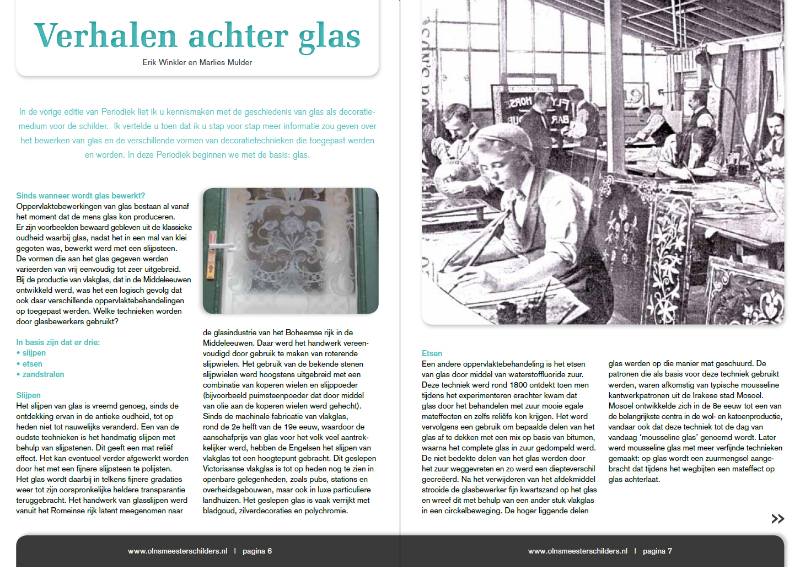 We proudly present this article: click on this link and read the PDF file about the special world of behind-glass stories and the expertise of Schitterend from Diemen, The Netherlands.